Unfortunately, there have been times when there is a need to find evasive defendants or to even locate a missing person. Residents in Canon City, CO have a friend they can count on when it comes to the need to locate a missing person. 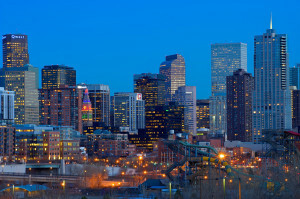 Colorado Attorney Services has access to various databases that are not available to the public. When you couple this with our network across the state as well as the nation we are in the best position to be able to find any person that has decided to skip town for some reason or another. Along with the services we provide we are also a company that has its foundation built on integrity. Such qualities are hard to find in a company let alone one of the biggest process server firms in the nation. From the beginning we understood that we couldn’t build a firm without honesty and trust in everything that we say and do. Over the course of time we have had the privilege to show all our clients the kind of firm we are. But don’t just take our word for it. Come and see for yourself that we are who we say we are in all the services we provide. Such services include process of service, court record retrieval, and issue and serve subpoenas. "As a paralegal, I would highly recommend this company. They are very professional and courteous. They came through for ...me on a very difficult service of process the same day I called them for assistance, and our client was very pleased."